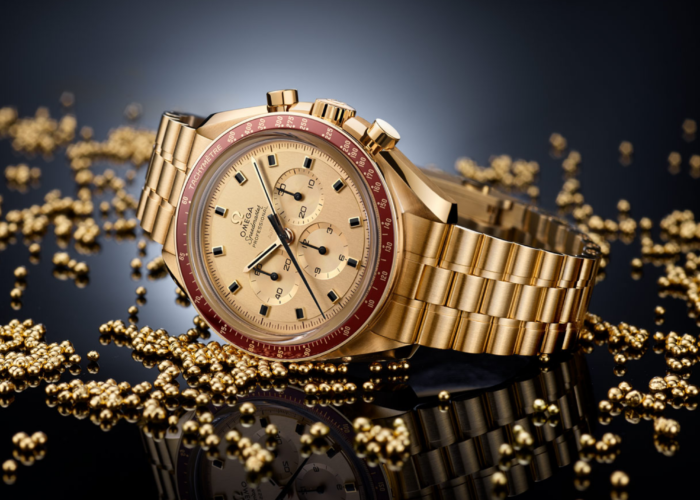 Those with even a passing interest in watches are likely aware of the connection between the NASA’s manned moon missions and the Omega Speedmaster. 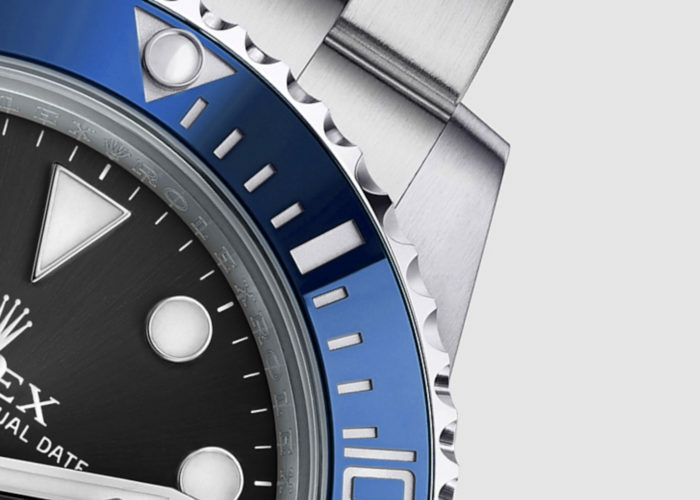 It’s a relationship that Omega has leveraged since 1969, and for good reason. 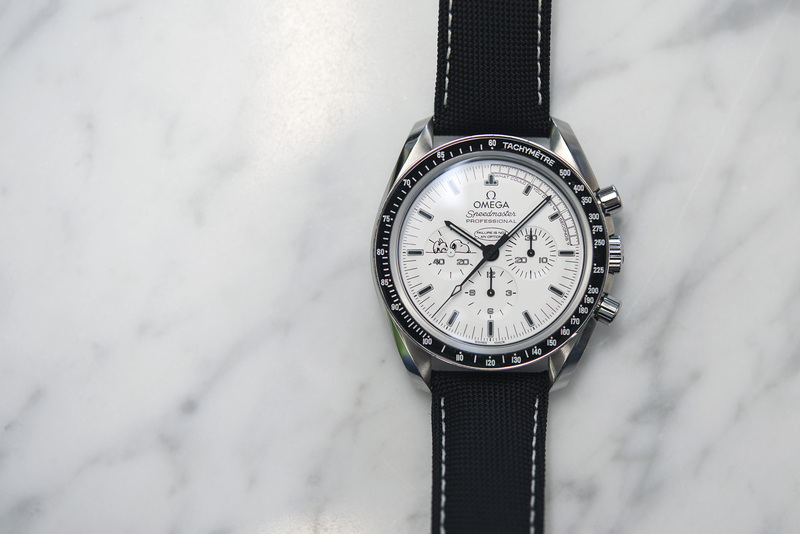 NASA officially selected their Speedmaster watch to accompany astronauts on mission. 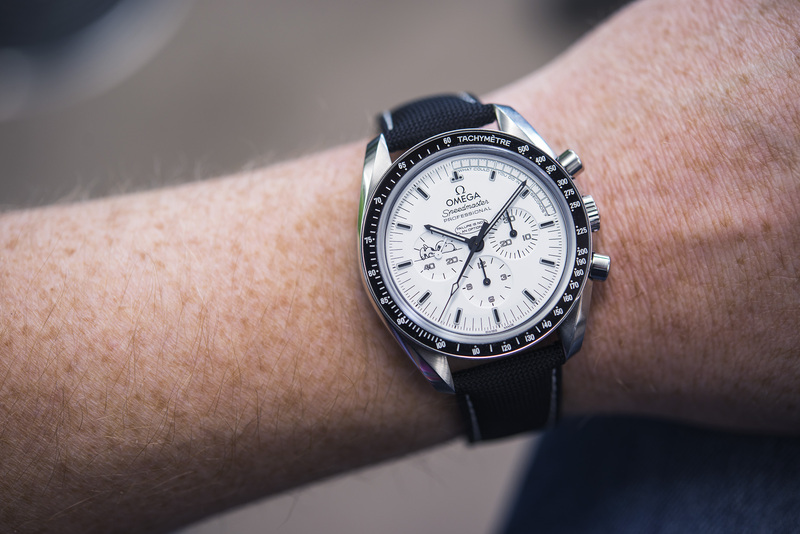 And so the story goes, when Neil Armstrong first stepped foot on the moon, an Omega Speedmaster was there dutifully strapped to the outside of his spacesuit. What you may not be familiar with is the association with a 3rd, less obvious party: the Peanuts character, Snoopy. Snoopy was adopted by NASA to be a symbol of their Manned Flight Awareness campaign at the suggestion of Al Chop, the director of public affairs at the time. The MFA program was (and still is, though is now known as SFA, Space Flight Awareness) meant to increase safety awareness and prevent catastrophic incidents. The program recognizes individual contributions toward the safety, efficiency, reliability and overall success of space flight missions. 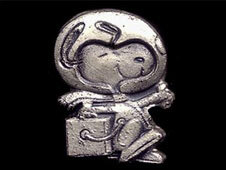 As a sign of recognition, NASA astronauts will award these individuals with a Silver Snoopy, a sterling silver Snoopy lapel pin that has flown on a Space Shuttle mission. Charles M. Schulz, himself a fan of NASA, penned the design of the pin. The award is among the highest honors a NASA employee can attain, with fewer than 1 percent of the aerospace program workforce receiving it annually. So what’s all this got to do with the Omega Speedmaster? Well, the watch itself is a past recipient of the award. The year was 1970, and Apollo 13 astronauts Jim Lovell, John Swigert, and Fred Haise were 3 days and about 200,000 miles into their journey to the moon when an oxygen tank exploded. “Houston, we’ve had a problem” is a line you’ll likely recognize, even if only from the mouth of Tom Hanks playing the roll of Jim Lovell in the 1995 film Apollo 13. The explosion meant skipping the Lunar landing and limping back to Earth after looping around the moon for some gravity assistance. In an effort to conserve energy for one final burn, all systems were turned off for much of the return trip, thus placing a premium on any mechanical instrumentation, such their Speedmaster watches. That’s not what won the watch a Silver Snoopy, however. To get safely back to the Earth, the Apollo 13 CM (Command Module) needed a final burn with which to align its trajectory toward re-entry. This was a critical moment, and one that forced Lovell to use the “gunsights” of the window and manually get the CM pointed in exactly the right direction. The timing of this maneuver was crucial, and they had 14 seconds of burn to get it right. How did they time those 14 seconds? With a Speedmaster. 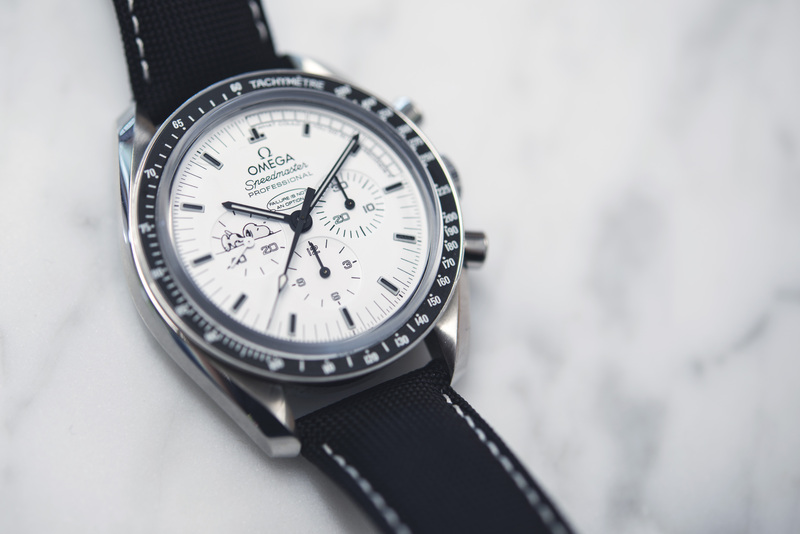 For its part in ensuring the safe return of the Apollo 13 astronauts, the Omega Speedmaster was awarded the Silver Snoopy. Omega has commemorated the award with special edition Speedmasters twice: once in 2003, and again in 2015. 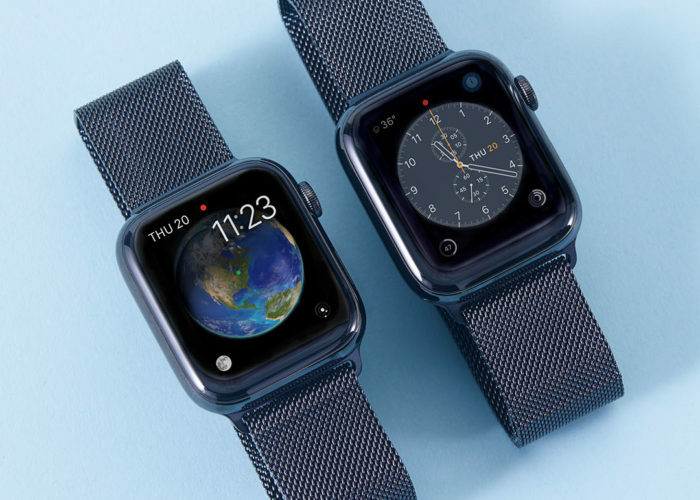 The later model includes a 14 second track on the dial with the words “What could you do in 14 seconds?” in reference to the Apollo 13 connection. You can find it here on StockX. These Snoopy Speedmasters fetch a fair premium in the pre-owned market, and for good reason. They are produced in limited quantities and represent an iconic moment in the history of manned space missions.